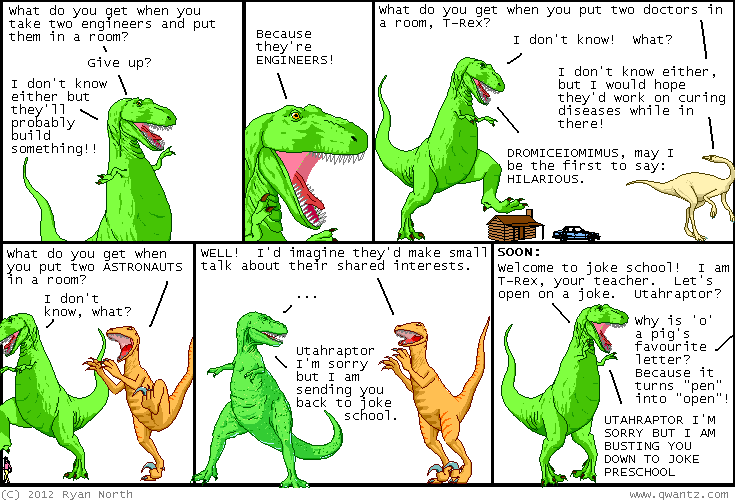 Dinosaur Comics - May 4th, 2012 - awesome fun times! May 4th, 2012: This weekend is TCAF! The Toronto Comic Arts Festival is my favourite convention ever, and it's free! If you're in Toronto, come down to the Reference Library and we can STONE-COLD CHILL. Also I can sell you some awesome Dinosaur Comics stuff and you won't have to pay for shipping! SPEAKING OF FREE, it's also Free Comic Book Day tomorrow, and I wrote an Adventure Time comic that you can totally pick up for free! I'll have a limited number with me at TCAF too. SO UM YOU SHOULD TOTALLY COME OUT, this is going to be AMAZING. FINALLY! 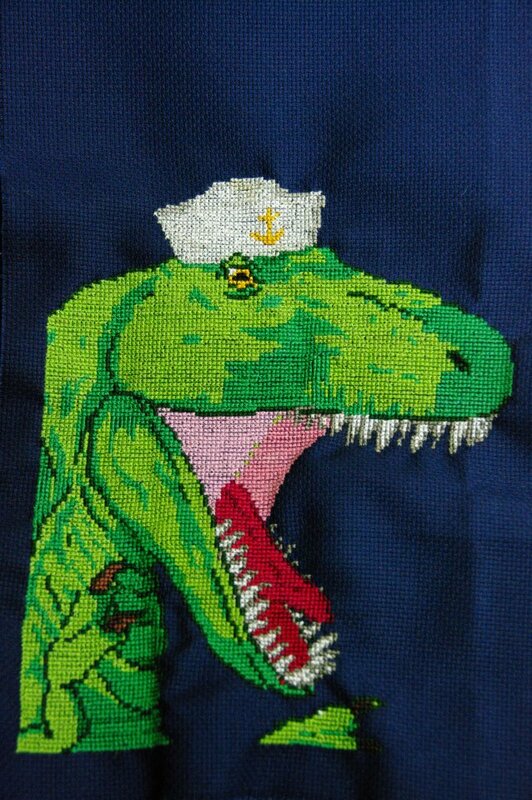 A while back, Jon posted the pixel art of T-Rex in a sailor hat he'd made for his awesome boat! Kylie did it as a cross-stitch and it's pretty much the best ever. I love this. Enjoy!